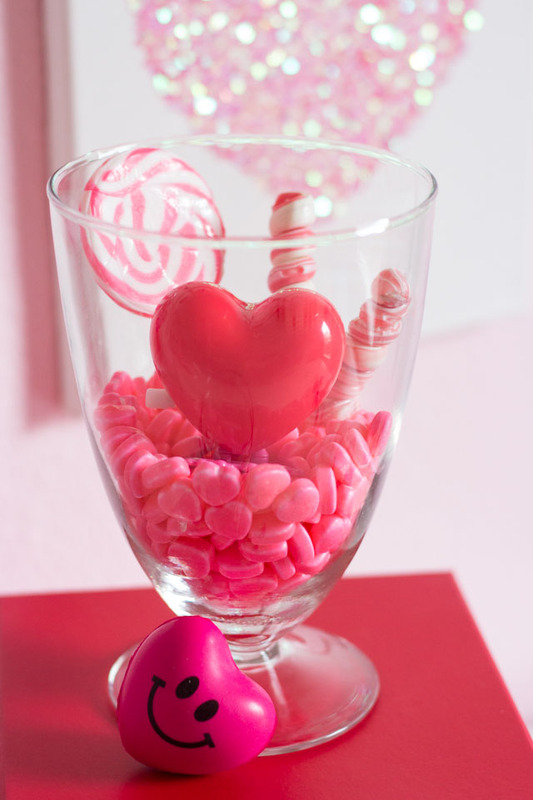 Need a last minute Valentine’s Day decoration? Candy-filled terrariums to the rescue! 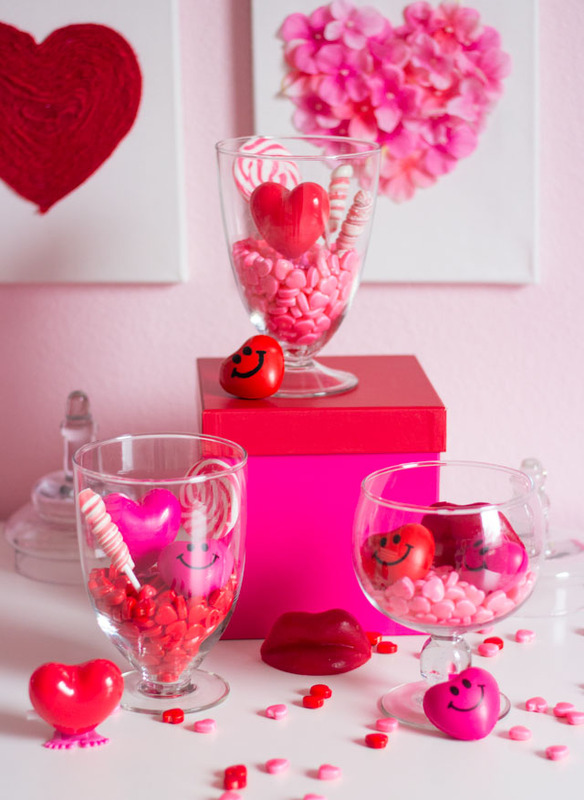 These Valentine terrariums, filled with candy hearts, lollipops, mini balloons, and even wax lips are my latest holiday terrarium idea! I’ve been hooked on making them ever since I made this Easter terrarium for Oriental Trading last year. I’ve changed up this set of glass jars for every holiday since then! These terrariums are the perfect way to create a pretty holiday centerpiece or vignette with next to zero time invested. Just fill a jar with your favorite holiday candy and other small items and you’re done! 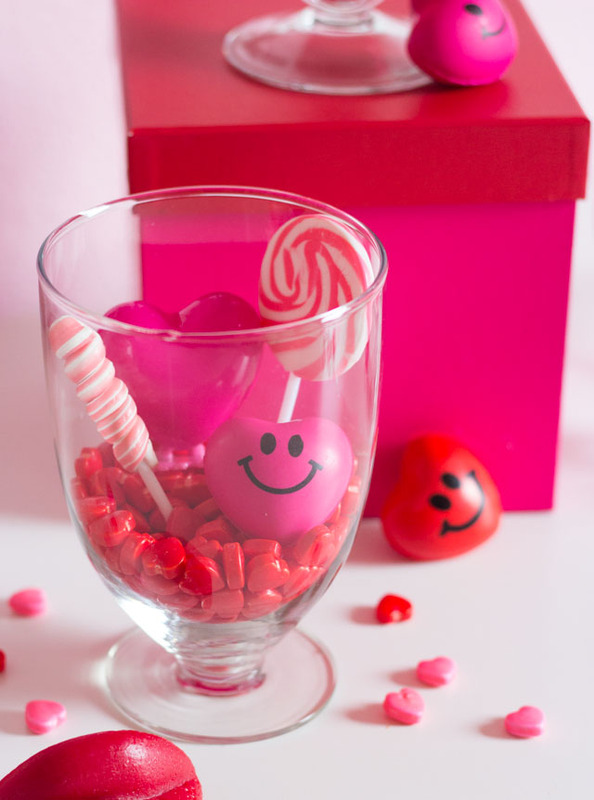 I stuck with all pink and red candy for these terrariums, and mixed in a couple non-candy items like these mini squeeze hearts and heart wind-up toys. 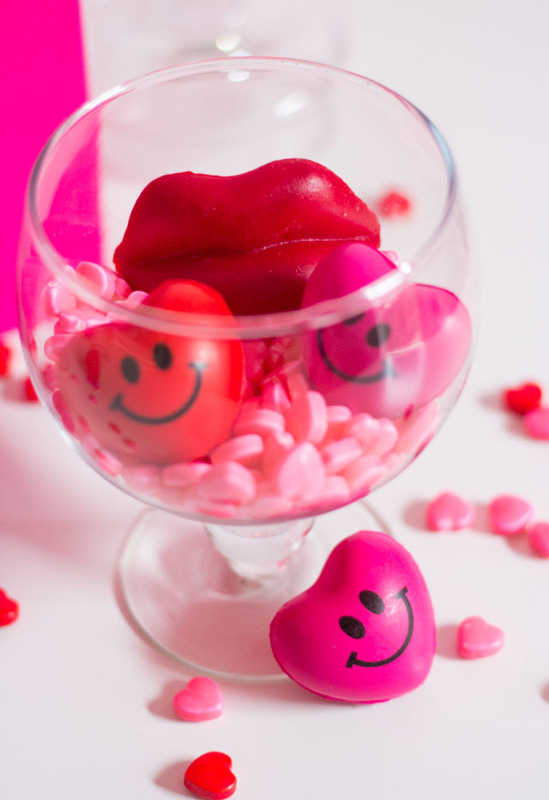 These wax lips really are too funny! You can use your leftover candy from making these terrariums to make my Valentine’s Day Candy bouquet – the perfect gift for your friend or kids!